Owner/Chairman Atlas Productions, LLC, the company responsible for the producing of Atlas Shrugged. Co-Founder/Owner UM Holdings Ltd. Chairman Cybex International, EHE International. John is an entrepreneur who graduated from Temple University and began his business career as a stock broker. He and business partner, Joan Carter (now wife), founded UM Holdings in the mid-1970's, and since that time, they have been involved in a wide variety of business ventures. As the owner of the film rights to Atlas Shrugged, John formed Atlas Productions to produce the Atlas Shrugged movie trilogy which commenced in 2010. A former member of the Board of the Ayn Rand Institute, he presently serves on the Board of The Atlas Society and is active in a number of libertarian organizations supporting reason, free markets and individual liberty. John is an avid poker player and winner of the 2004 US Poker Championship along with several "final tables" in the World Series of Poker. 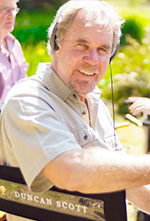 Harmon has been in the motion picture industry for more than 20 years and has more than 15 motion picture credits. Notable titles include the award winning Camille produced with Al Ruddy (Academy Award Winner for the Godfather and Million Dollar Baby) and starring James Franco and Sienna Miller. He also produced the award-winning Dog Soldiers, a cult classic British werewolf movie. A native of California, Harmon is a graduate of the University of California, Davis and received a law degree from the USC Law Center. 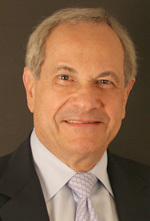 A member of the California & Federal Courts Bars, Harmon was originally an entertainment attorney with the international law firm of Shea & Gould. He is the former President/COO of Kismet Entertainment Group and worked with A-Mark Entertainment, a film finance and production company, prior to joining Atlas Productions. Harmon is the producer of Atlas Shrugged Parts I and II. Harmon lives in Southern California with his wife and four boys. Joan Carter and John Aglialoro have been business partners and have owned/operated almost 40 businesses since founding UM Holdings Ltd. in the mid-1970's. The company began in health care services (diagnostic testing, pharmaceutical research, and dialysis), and has also owned a start-up airline, a cement company and a refinery inspection business where Joan served as CEO. 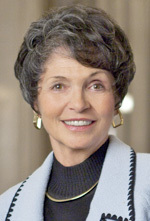 Joan is immediate past President of the Union League of Philadelphia (voted #1 private club in the USA) - the first woman to hold such office in the League's 150 years of existence. She also serves on the board of Penn Mutual Life Insurance company, Lourdes Health System, and her alma mater, The College of Wooster. 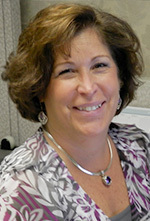 Joan is responsible for administration and the merchandise activities of Atlas Productions. A successful entrepeneur, Scott is also an award winning software engineer and digital artist. He was the founder and creator of award winning STOPzilla! security software and, following the sale of his position in that company, ran a successful consulting business prior to joining the Atlas Shrugged enterprise. Scott has received 30+ awards for his work in digital design and development including "Staff Pick" and "Editor's Choice" awards from Apple (Mila's Tools Converter App), CNET.com, and Laptop Magazine among others. 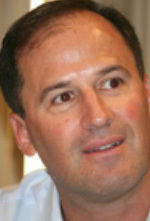 Since joining Atlas Productions, Scott has built the company's online presence resulting in AtlasShruggedMovie.com ranking #1 on Google for the term "Atlas Shrugged. Scott's artwork for the Atlas Shrugged movies won "Best 2011 Movie Poster for Design Inspiration" for his Atlas Shrugged Part 1 theatrical poster. Becky has worked in the accounting field for more than 17 years, the last 14 with UM Holdings and Atlas Shrugged Movies since 2010. She holds a BS in Business Administration/Accounting from Thomas Edison State College. Her work with UM and its companies has broadened her experience beyond accounting to include Human Resources, Marketing, and SOX Compliance. She currently manages the financial reporting for Atlas Shrugged Movies and Atlas Shrugged Movie Merchandise. Becky lives in New Jersey with her husband and two grown children. 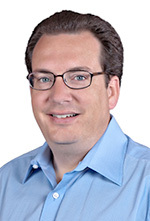 After graduating from the University of Texas, Jay began his career in the semiconductor industry working as a software developer for Texas Instruments. Prior to joining Atlas Productions, Jay successfully introduced new software solutions to the supply chain industry and has worked with a number of startups to jump start their business. Jay currently provides the high level of programming expertise that supports all of the Atlas online ventures including the "Demand Atlas" program, www.GaltsGulchOnline.com, and a proprietary CRM system used to manage communication with the +170,000 members of the Atlas Shrugged online community. Born and raised in Texas, Jay continues to reside there with his wife and extended family. Duncan Scott is a filmmaker based in Santa Monica, California. He has over 150 productions to his credit and has won four Emmy Awards. Duncan has filmed throughout the world and worked with anthropologist Margaret Mead, musician Eric Clapton, and actor Michael Caine. He produced and directed over thirty half hour programs for the public television series, Innovation. Duncan's work now focuses on projects that promote the ideas of novelist, Ayn Rand. He was one of the screenwriters of the motion picture, Atlas Shrugged Part II and is currently drafting the screenplay for Atlas Shrugged Part III. He worked closely with Rand on the restoration of the 1942 film classic, We the Living, a film his company now distributes. Duncan also wrote and directed a stage adaptation of Rand's short novel, Anthem, and is the Director of the non-profit Objectivist History Project. Duncan is currently directing and producing The Most Dangerous Woman in America, a feature-length documentary that explores Rand's controversial ideas with financial assistance from Kickstarter.com. Brian Patrick O'Toole began his career in the Entertainment Industry as a literary agent. His work as a script consultant includes working with Howard Kazanjian, Sydney Pollack, and George Romero among others. He studied with Richard Walter (UCLA's Chairman of Screenwriting) and was a member of the Player's Workshop of the Second City in Chicago. 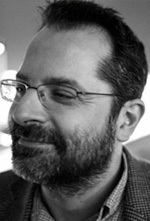 Brian's screenwriting and producing career spans over 20 years within which he resurrected the werewolf genre with Dog Soldiers and was one of the first filmmakers to use a computer generated character in SleepStalker. 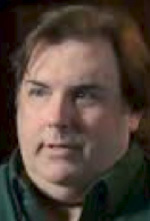 In 2007, Brian wrote and produced his first digital films: the zombie actioner Evilution and the thriller Basement Jack. His films have received awards from U.S. and International film festivals. Outside the horror genre, Brian co-produced Neo Ned and the action thriller Death Valley. Brian was a screenwriter of Atlas Shrugged Part I, Atlas Shrugged Part II, and he is a key consultant for Atlas Shrugged Part III. 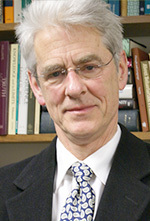 David Kelley earned a Ph.D. in philosophy from Princeton University. In 1975, he joined the philosophy department of Vassar College, where he was a Professor until 1984. Founder of The Atlas Society, David has written extensively on Objectivist philosophy. Among his books are Unrugged Individualism: The Selfish Basis of Benevolence; The Contested Legacy of Ayn Rand; The Evidence of the Senses; and The Art of Reasoning, one of the most widely used logic textbooks in the country. His articles on social issues and public policy have appeared in Harper's, The Sciences, Reason, Harvard Business Review, The Freeman, and elsewhere and he is an editorial writer for Barron's. An active proponent of Objectivism for more than 25 years, David is one of the foremost authorities in the world on the works of Ayn Rand and Atlas Shrugged. He has been the primary content consultant on all three parts of the Atlas Shrugged Trilogy.